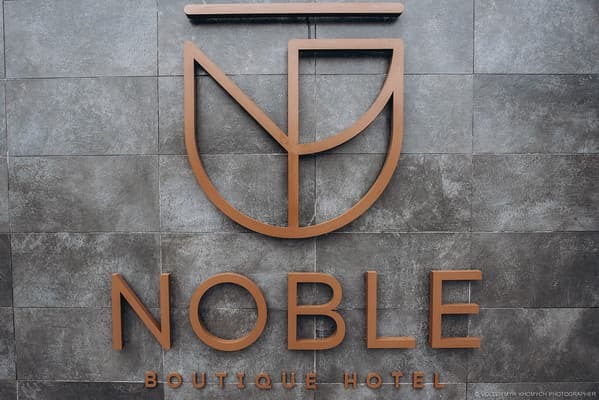 NOBLE BOUTIQUE HOTEL - MODERN, COMFORTABLE HOTEL WITH COMFORTABLE ROOMS IN STYLE NEW ART. NEAR THE CENTRAL AREA OF THE CITY AND THE CENTRAL STORE "LUCK". 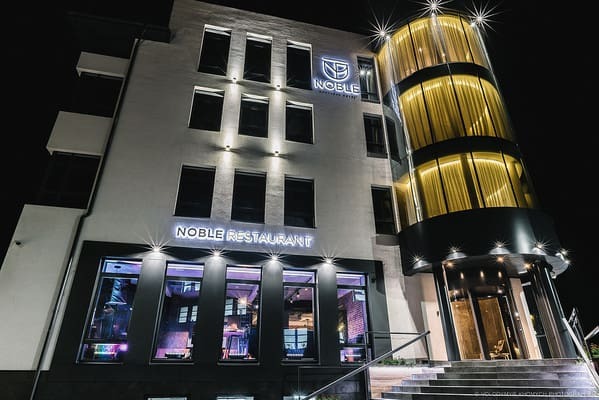 NOBLE BOUTIQUE HOTEL is a combination of unique design, comfortable LOCATION, EUROPEAN STANDARDS OF SERVICE and sincere concern for every guest. 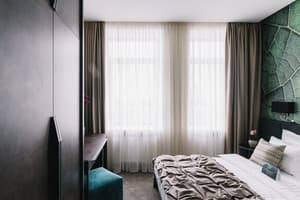 Description of the room: Room size is 20 sq.m. Bed size - 160h200 cm. 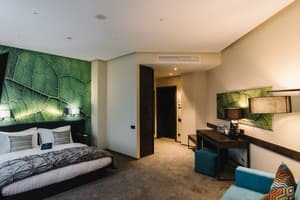 Description of the room: The area of ​​the room is 31 sq.m. Bed size - 160h200 cm. 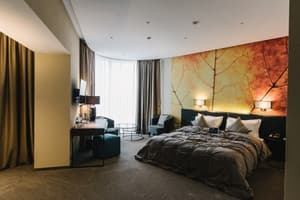 Description of the room: Room size is 40 sq.m. Bed size 180x200 cm. 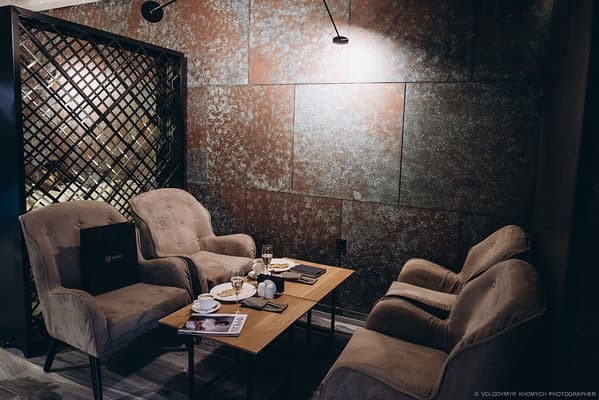 Description of the room: The area of ​​the room is 50 square meters. Bed size 200x200 cm. Зупинялись в готелі з 23.02 по 24.02.2019. Готель дуже комфортний, зручне розташування (поряд замок Любарта, собор, парк Лесі Українки, зупинки автобусів, ринок). В номері є все необхідне (фен, шампуні, махрові халати), електрочайник, чай. Номер був прибранний на "відмінно". Сніданки дуже смачні і є можливість обрати сніданок на свій смак. По 5-ти бальній шкалі готель заслуговує на 5+. - children under 2 years old stay free of charge - there is no extra charge for accommodation and meals (breakfast); - children from 3 to 6 years old are accommodated free of charge without providing an extra bed (extra bed) - no additional charge for accommodation and meals (breakfast); - children from 7 to 11 years old are accommodated with an extra bed (extra bed) and 50% discount for accommodation and meals; - Children over 12 years old are accommodated on condition of 100% payment for hotel services. Additional place - 400 UAH / night. 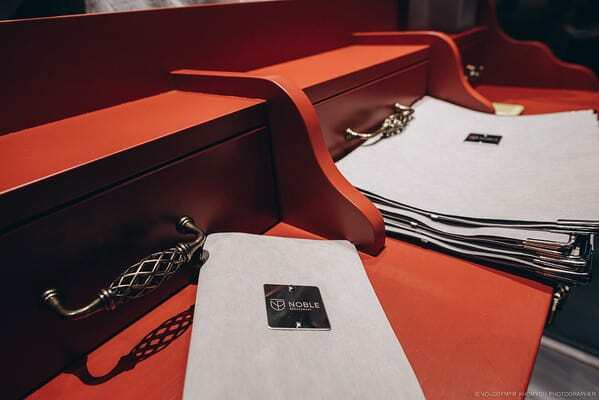 The restaurant of the NOBLE BOUTIQUE HOTEL - dishes of European cuisine. From 7:00 to 10:00 - breakfast is buffet style. The cost of breakfast is 200 UAH. 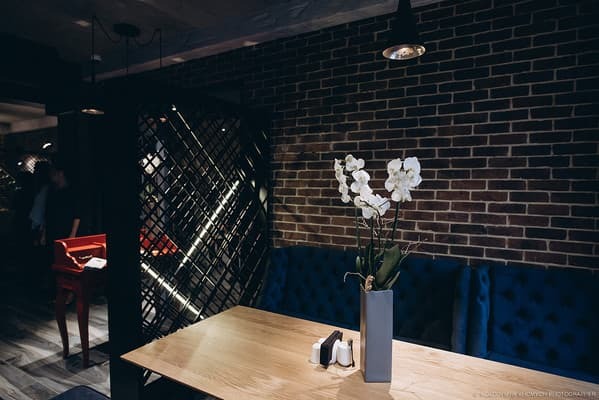 The opening hours of the restaurant are from 11:00 to 23:00. You can get there by taxi № 2.16.